Description: Dianna's guest is Carol Romanella, owner and designer of OHMJAM, an online fashion boutique for women. She's also a committee member of the Wasaga Film Festival and Board of Director/Treasurer for the Wasaga Society for the Arts. She's a supporter of Autism through OHMJAM, a cause close to her heart. Carol is a cancer survivor and in 2005 she became a homeopath and started her practice "Path To Life Homeopathic and Reiki Health". Carol will share the meaning behind the letters OHMJAM and tell us about the upcoming Fundraiser Fashion Show. This Fashion Fundraiser Gala is taking place on March 18th at the Country Life Resort, presented by OHMJAM in support of the newly incorporated Wasaga Society for the Arts. BEACH CORNER from Beach BOOSTER Radio. Wasaga Beach's truly local radio! Check back each week for a new show, available anytime on any device. PHOTO: Carol and Dianna in the Beach BOOSTER Studios. Dianna's guest is Carol Romanella, owner and designer of OHMJAM, an online fashion boutique for women. She's also a committee member of the Wasaga Film Festival and Board of Director/Treasurer for the Wasaga Society for the Arts. She's a supporter of Autism through OHMJAM, a cause close to her heart. Carol is a cancer survivor and in 2005 she became a homeopath and started her practice "Path To Life Homeopathic and Reiki Health". Carol will share the meaning behind the letters OHMJAM and tell us about the upcoming Fundraiser Fashion Show. This Fashion Fundraiser Gala is taking place on March 18th at the Country Life Resort, presented by OHMJAM in support of the newly incorporated Wasaga Society for the Arts. BEACH CORNER from Beach BOOSTER Radio. Wasaga Beach's truly local radio! Check back each week for a new show, available anytime on any device. 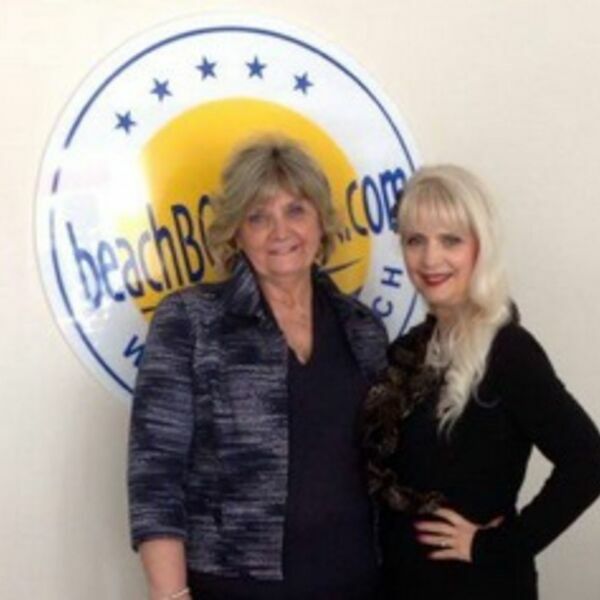 PHOTO: Carol and Dianna in the Beach BOOSTER Studios.